Quick Take: Parks and Recreation, "Citizen Knope"
Review: Parks and Recreation, "Citizen Knope"
(S0410) Very few sitcoms are capable of achieving a balance between pure, unadulterated funny and genuine, heartfelt sentimentality. Parks and Recreation is one of the rare shows that strikes this balance -- almost effortlessly at times, it seems. "Citizen Knope" is impressive not only because it hits all of the right emotional notes while maintaining its comedic integrity, but also because it does so during "Very Special Christmas Episodes." I'm usually not a huge fan of Christmas episodes; they tend to get a little sappy for my taste. But smartly, "Citizen Knope" confines the Christmas-centric stuff to the B-plot. The episode focuses on Leslie's (Amy Poehler) two week suspension from the Parks Department -- punishment for her role in an inter-office romance. Without her job anchoring her, Leslie is adrift in a sea of boredom. To pass the time she invents new spices -- like "salgar", which is just a combination of salt and sugar. Eventually, she realizes that she doesn't have to be in the Parks Department to influence its operations. She starts her own political action committee called the Parks Committee of Pawnee. Or "PCP" for short. The drug reference is not lost on Leslie. "We are so fast acting and powerful, we should be illegal," she says. Meanwhile, Ben (Adam Scott) is searching for a new job after resigning from the city government. He considers taking a boring job at an accounting firm, but a surprise pep talk from Jean-Ralphio (Ben Schwartz) convinces him to continue his job search. The sentimental stuff comes late in the episode, when Leslie's campaign advisers bail on her after some disheartening poll numbers. 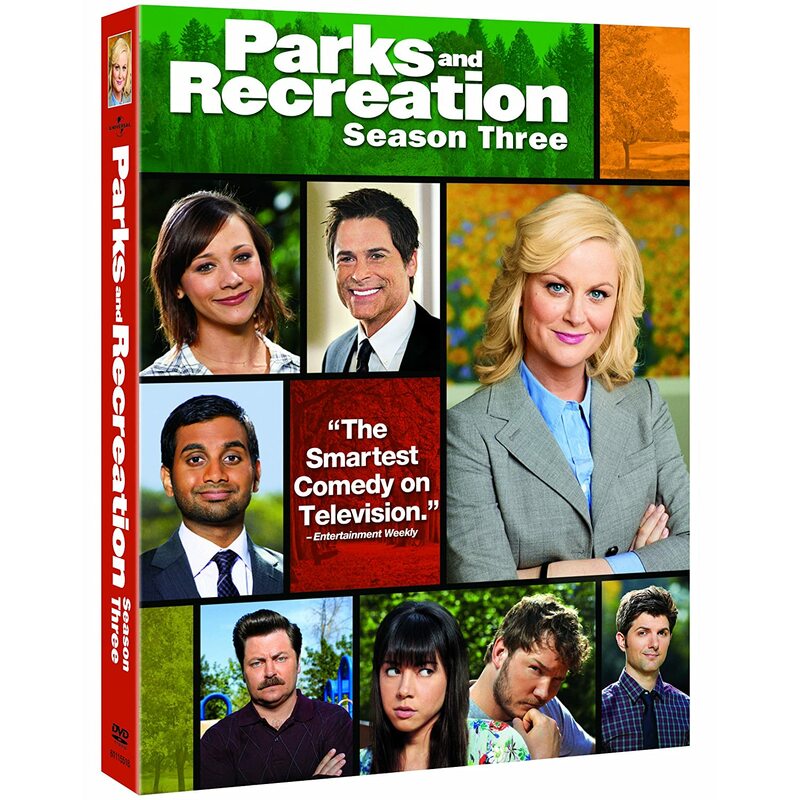 The Parks Department gang gives Leslie the best Christmas gift she could have asked for. They vow to give their time and energy to help the campaign. Tom (Aziz Ansari) will serve as "image consultant and swagger coach"; Donna (Retta) pledges the use of her Benz for transportation; Andy (Chris Pratt) takes on the role of "security", "body man", and "javelin if need be"; while Ron (Nick Offerman) will take on any other duty Leslie might require.